I'm an archaeologist and historian: that's why the complex of the Roman Forum/Palatine HIll is my favourite part of the city. Here you can enter and enjoy a relaxing morning, strolling around the ruins, and you'll be happy to avoid the crowd of tourists (mainly interested in the Colosseum). I've spent years digging in the Roman Forum, and now I'd like to share my love and knowledge with you, for a lovely walk accross the area. 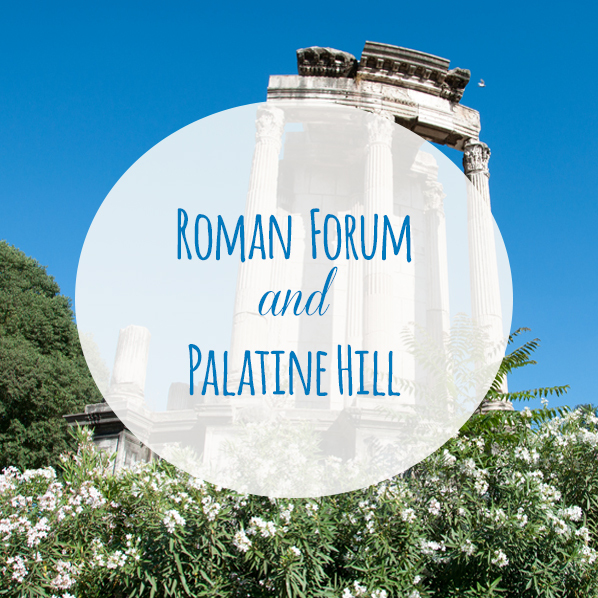 I suggest this tour if you want to enjoy this area at 100%, visiting the most important shrines of the Forum and the Palatine Hill. We can add the visit of the House of Augustus or Livia, a rare occasion to admire Ancient Roman frescoes in Rome. Meeting point: I'll meet you at the main entrance of the Roman Forum, at the ticket office (Largo della Salara Vecchia). This entrance is along Via dei Fori Imperiali, a long road between the Colosseum and Piazza Venezia. If you're not familiar with the area I'll send you more details. - The Colosseum is NOT included in the tour, but since the ticket is valid 2 days, you can use the combo ticket to visit the amphitheater by yourself another day or in the afternoon. Since April 2018, it's possible to purchase a VIP ticket to see sites usually closed as the House of Octavian Augustus or the House of Livia. If interested, please send me a message at the moment of the booking so I can check the schedule of the sites. If not interested, you can buy the standard ticket at the entrance of the Forum.